Condos have long been an affordable home purchase option and offer tremendous advantages. 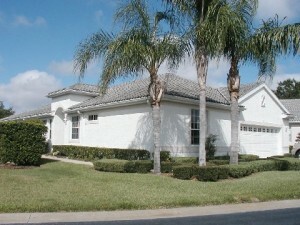 They can provide residence in exclusive areas like Trinity, Fl without the expense of a single family home; they typically offer access to a wide range of amenities like tennis courts, pools, and fitness centers; they offer surveillance systems that provide additional layers of protection, and they require reasonable association fees to cover exterior maintenance. But, by virtue of their design as a community that shares expenses, other condos in foreclosure or in default on common charges can become your problem. If you are considering a condo in today’s market, a full assessment of the financial health of the complex will be conducted by your lender. But before you even present the property for purchase, a little knowledge will save you time and potential disappointment. Budget – What is the current condo budget versus the income and expenses? How do these numbers compare to previous years? Reserve Study – What is the maintenance plan and how will it be paid? Special Assessments – Have there been any and are more planned? Delinquencies – How many owners are behind in their payments? On the flip side, if you are currently interested in selling a Trinity, Fl condo, we will assist with the same type of analysis. While any sale in this market needs to target the right price point to get buyers interested, the whole picture is part of the deal in the condo world. If the community itself is not fiscally attractive to buyers or bankers then nothing else really matters. Don’t get me wrong; there are plenty of condominium complexes that are attractive both inside and out. They are well maintained, have all the right owner-occupied ratios, and are financially sound. The caveat here is that if you are buying into a development or selling out of one, sometimes beauty is only skin deep.